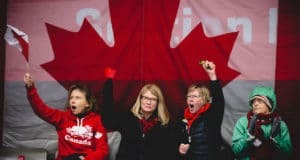 SILKEBORG, Denmark — Their playoff dreams had been shattered earlier in the day with Team Canada not even inside the Silkeborg Sportscenter, so the team’s final game on Friday night at 2019 LGT World Women’s Curling Championship, presented by Pioneer Hi-Bred, was all about pride. SILKEBORG, Denmark — Against a team that by many standards is considered the best in the world, Team Canada couldn’t afford to make any mistakes on Friday morning at the Silkeborg Sportscenter. SILKEBORG, Denmark — There’s nothing complicated now for Team Canada at the 2019 LGT World Women’s Curling Championship, presented by Pioneer Hi-Bred. SILKEBORG, Denmark —Team Canada has taken a one-step-at-a-time approach to climbing back into contention at the 2019 LGT World Women’s Curling Championship, presented by Pioneer Hi-Bred. SILKEBORG, Denmark — Canada’s Chelsea Carey has reached the halfway point of the round-robin schedule of the 2019 LGT World Women’s Curling Championship, presented by Pioneer Hi-Bred, and there is work to do in the back half of the schedule. SILKEBORG, Denmark — Team Canada got back to its winning ways on Monday night at the 2019 LGT World Women’s Curling Championship, presented by Pioneer Hi-Bred. 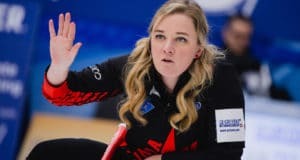 SILKEBORG, Denmark — Team Canada’s record has levelled out at 2-2 after a 7-5 setback to Japan’s Seina Nakajima at the 2019 LGT World Women’s Curling Championship, presented by Pioneer Hi-Bred. 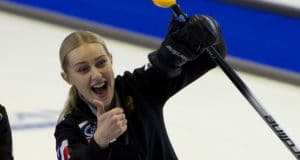 SILKEBORG, Denmark — It was hardly unexpected for Canada’s Chelsea Carey that her Calgary team would have to grind out wins at the 2019 LGT World Women’s Curling Championship, presented by Pioneer Hi-Bred. SILKEBORG, Denmark — Better communication, better execution, better confidence — and it all led to a better result for Team Canada Sunday morning at the 2019 LGT World Women’s Curling Championship, presented by Pioneer Hi-Bred. 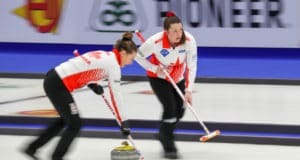 SILKEBORG, Denmark — Canada’s Chelsea Carey bowed 7-6 to South Korea’s Min-Ji Kim in the opening game for both teams at the 2019 LGT World Women’s Curling Championship, presented by Pioneer Ji-Bred. It’s been more than three decades since Canada has managed to win three consecutive gold medals at the world women’s curling championship.